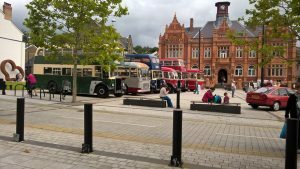 A selection of Barry based buses made the journey to Merthyr Tydfil for their Merthyr Amazes event outside the restored town hall, much interest was generated from a photo display of old corporation drivers prior to it being placed into the Depot. 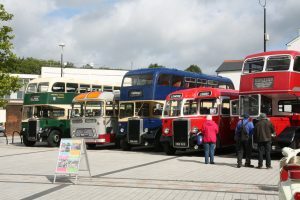 Cardiff 434 provided regular open top trips to the castle and was mainly fully loaded. 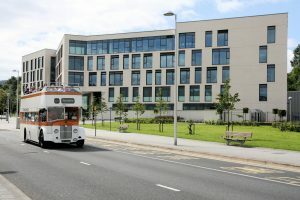 This was obviously a good advert for our upcoming Festival of Transport at the Leisure Centre on September 10th.